They are located RIGHT at the base area next to the ticket office and are happy to store your skis for you in the evening. They offer this discount with no black out dates. They also have a delivery service called Door to Door which you can select for when you fill out the form. 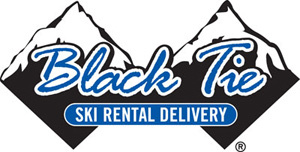 Black Tie Ski Rentals in Crested Butte (they DELIVER! )10-25% off - special deal just for North America Ski Discounts' affiliate Great Crested Butte Lodging! : Free Delivery, in-room fitting, slopeside service. Black Tie offers 10% to 20% off depending on when you are skiing. Book thru us for the discount and then you are free to call the local managers: 970-349-0722. The link is http://www.blacktieskis.com/greatcblodging. You place your order before you arrive, then they deliver the equipment and do a professional, custom fitting in your lodging. They pick up too. Be sure to put "Great Crested Butte Lodging" in the referrer field to receive the discount! Bringing your own boots? Subtract $9/day from any ski or board package. Contact us to request discount ski rentals from Christy Sports or Black Tie skis! Crested Butte Discount Ski Rentals:- Our Blog! 20% off at the base! Plus great quality rentals right at the base from Christy Sports!